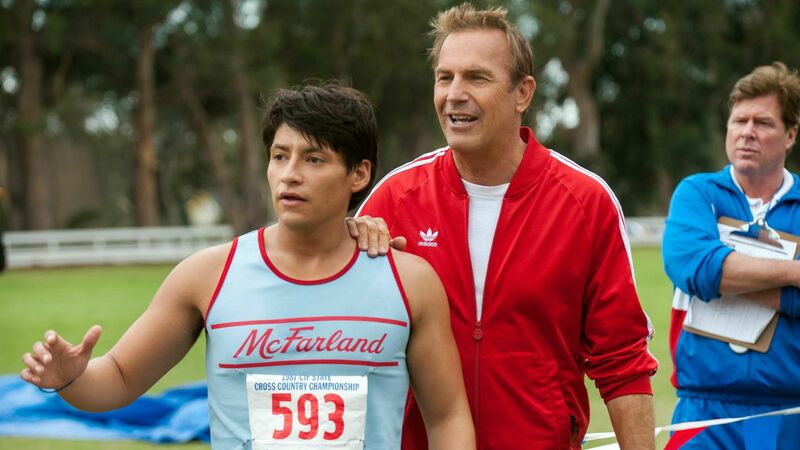 McFarland, USA, a new Walt Disney film set to release on Feb. 20, is based on the true success of McFarland High School’s cross country team in 1987. The team was created by coach Jim White, played in the film by Kevin Costner, after he spotted potential in a group of students from Hispanic farmworker families. The narrative follows White’s character as he creates the team and proceeds to train the group to achieve athletic success. That may sound like one of the biggest clichés in Hollywood, but the social commentary presented in this film proves it to be one that’s worth risking cinematic redundancy for. The film follows the classic sports drama narrative, but such Hollywood formulas can often hold both objective and subjective worth. Whether it’s in the variations, details, aesthetics, or thoughts provoked.